Big and bold, FabLite is also our most affordable portable fabric trade show display. With the flat frame completely encased, your audience can focus on your brand’s message. Custom-tailored graphic to fit and provide a smooth finish. FabLite portable kiosks are unique in style and easy-to-use. 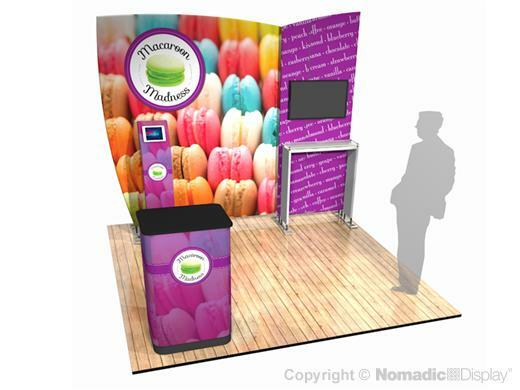 Choose to layer on a distinctive shaped kiosk that best complements your product or message. Lightweight construction makes it easy to set-up, arrange, reposition and rotate FabLite to display different messages.